Mikhail Khodorkovsky has long been a political thorn for President Putin. 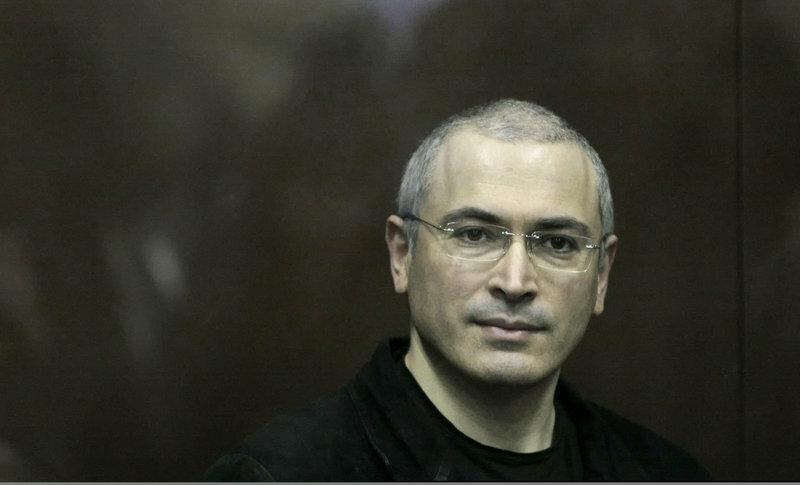 MOSCOW – A judge read the sentence Thursday, but to supporters of jailed oil tycoon Mikhail Khodorkovsky, the words came straight from Prime Minister Vladimir Putin: Six more years in prison for stealing his own company’s oil. Putin has been seen as the driving force behind the unrelenting legal attack on Khodorkovsky, who challenged him early in his presidency and has been imprisoned since 2003. As Putin considers a return to the presidency in 2012, he appears unwilling to risk the possibility that a freed Khodorkovsky could help lead his political foes. The defense said much of Judge Viktor Danilkin’s verdict was copied from the indictment and the prosecutors’ final arguments. “Curse you and your children!” Khodorkovsky’s mother said when Danilkin read the sentence. The trial had been seen as a test of the rule of law in Russia, but its outcome exposes how little has changed under President Dmitry Medvedev, despite his promises to make courts an independent branch of government. Following a 20-month trial, Danilkin on Monday convicted Khodorkovsky and his business partner Platon Lebedev on charges of stealing almost $30 billion worth of the oil that his Yukos company produced from 1998 to 2003 and laundering the proceeds. Lebedev also was sentenced to 14 years. The defense has said the charges reflected a lack of understanding of the oil business, including the payment of transit fees and export duties. Numerous witnesses, including current and former government officials, testified that Khodorkovsky could not have stolen what amounted to almost all of the oil Yukos had produced. The charges also contradicted the first trial, in which Khodorkovsky was convicted of evading taxes on Yukos profits. His eight-year sentence in that case had been set to end in 2011.